If you are involved in one type of creative art, you probably are involved in another. In addition to quilting, I have been interested in drawing especially since Journaling is recommended for quilters who wish to save ideas for Art Quilting. 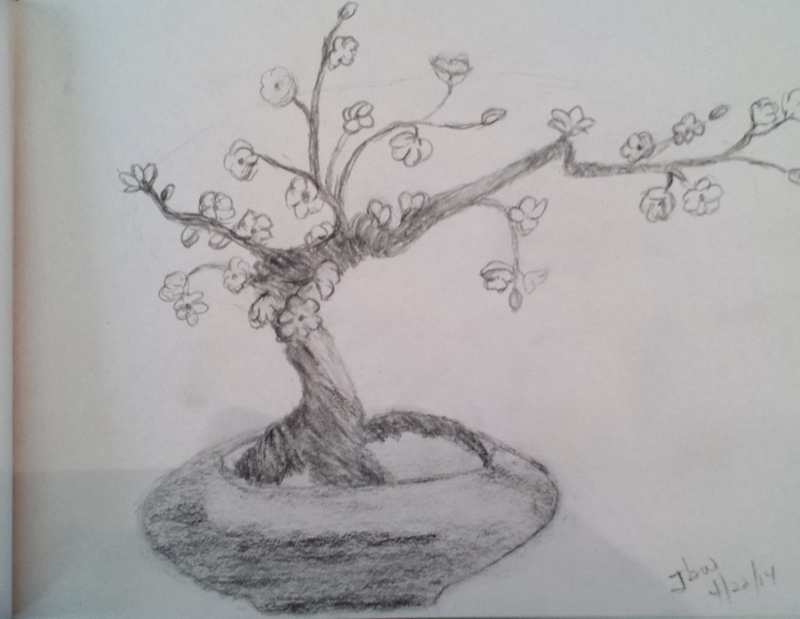 My friend Sandy likes to draw and we have been trying to take an adult education class on drawing for over 2 years, but it always seemed to get canceled for lack of interest (evidently we were the only enrollees). 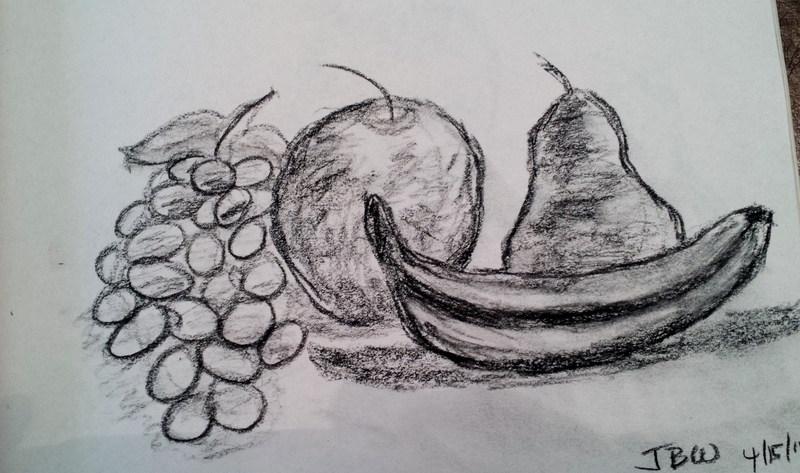 As luck would have it, we finally signed up for a class that happened, so for the last 3 Tuesdays we have attended a drawing class to practice drawing. I don’t think it will ever be my number 1 hobby, but I do find it is very relaxing and distracting from all of the problems in the world. I also think it can be useful in designing my own quilt patterns. In addition to that I have been finalizing the Mardi gras quilts for the Art quilt challenge and will photograph them when they are complete. 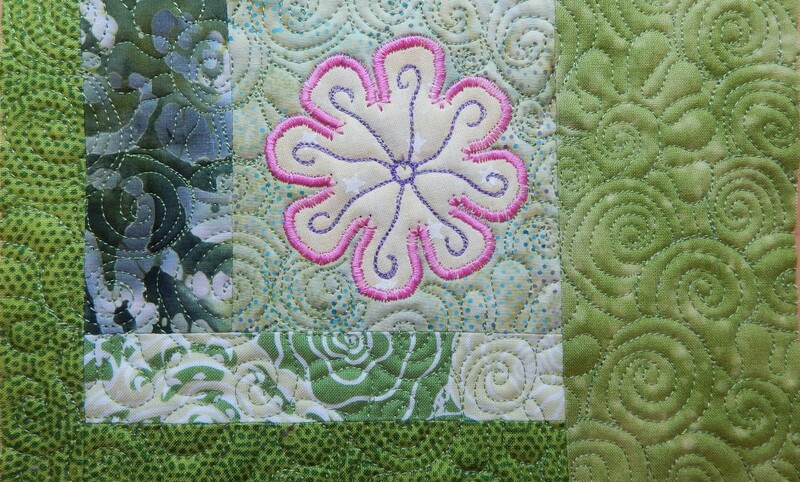 The quilting and binding are done and I am just finishing up on the embellishments. Last week I decided to take a block that I had made in a curved piecing class and turn it into a table topper or wall hanging and so I added some flying geese borders and outer borders. 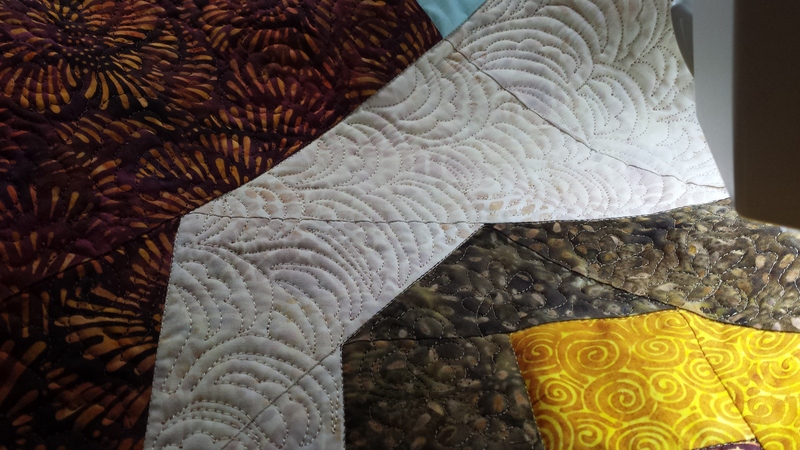 Today I was working on the quilting. 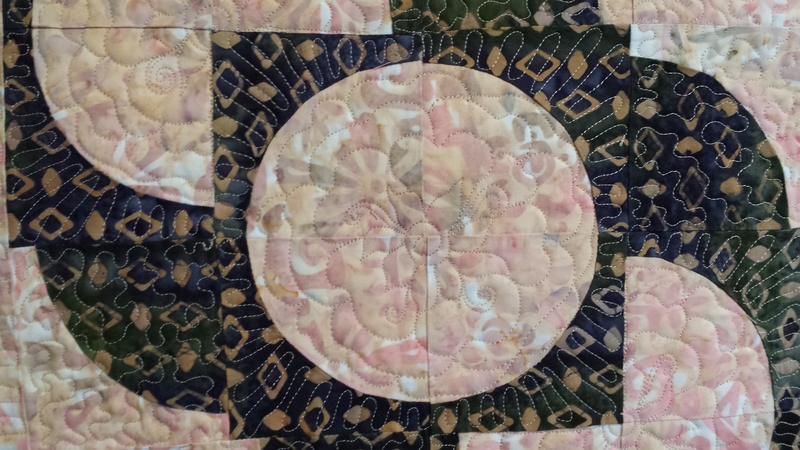 I had to go out so I did not finish it, but I will show it as it is right now with a close up of the center quilting. The quilt shop that is nearby is unfortunately closing so I picked up some yardage for 2 quilt backs and a little extra something. I am so sorry that the store will be closing but I think it is really hard to make money selling quilt fabric today as it has become so expensive. I encourage all quilters to remember to support their local quilt shops! It is spring! It is time to rejoice in new beginnings, to enjoy the crocuses reaching out to the sun for the first bits of warm weather. The trees are releasing their sap to make wonderful maple syrup. Soon the trees with be sprouting leaves, and daffodils and tulips will be waiving in the wind. This is such a wonderful time of year. It is a great time to take a walk with your camera and take photos of the beauty of spring. Maybe it will inspire a quilt by providing you with color choices, or even something just as simple as an 8 x 10 Journal quilt that will allow you to re-live what you have seen. 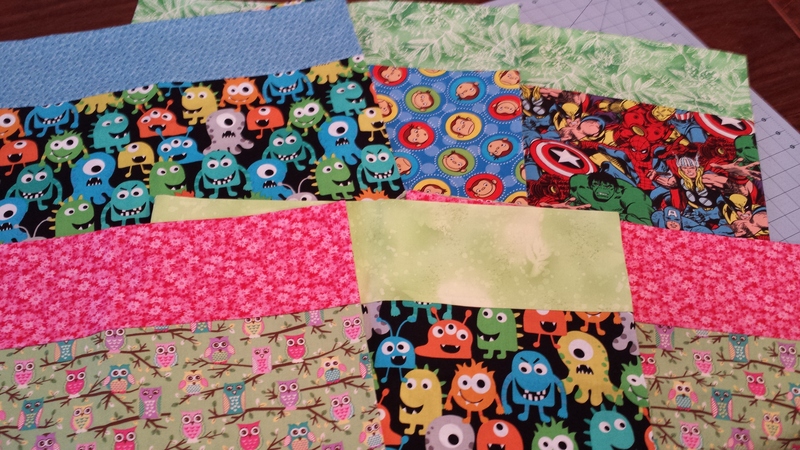 The pillowcases for “The Hole in the Wall Gang” camp are completed and ready to be delivered at our April Guild meeting. I hope the children who receive them will enjoy the colors as much as I did! I am grateful that my child was healthy and I am glad to be able to do something for children who are not as fortunate. I will try to make more before the May or June meeting. 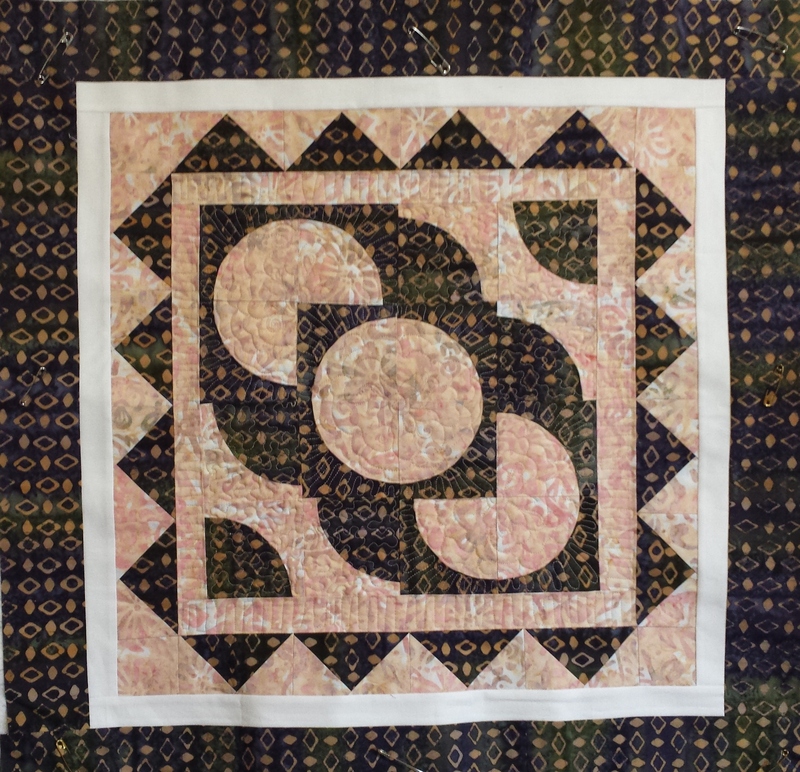 Here is a picture from last weekend “Goal Day”, it was a relaxing, productive day of quilting the block challenge which is due at our April meeting and I am just finishing up the binding. I just need a good movie this weekend to sit in front of and do the hand sewing. I have laid out both of the Mardi gras quilts and will start quilting and adding embellishing threadwork this weekend. 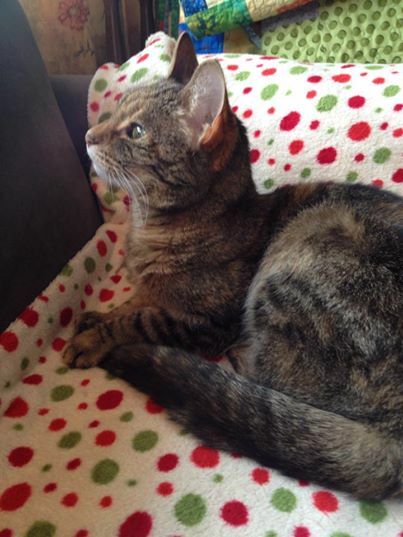 This picture is of our cat Toni on “Goal Day”, she is enjoying the bird activity of spring from inside the window.